per skewer using double skewers (makes them easy to turn). Grill for approximately 2 minutes on each side. Lay on a bed of baby spinach and garnish with fresh rosemary. 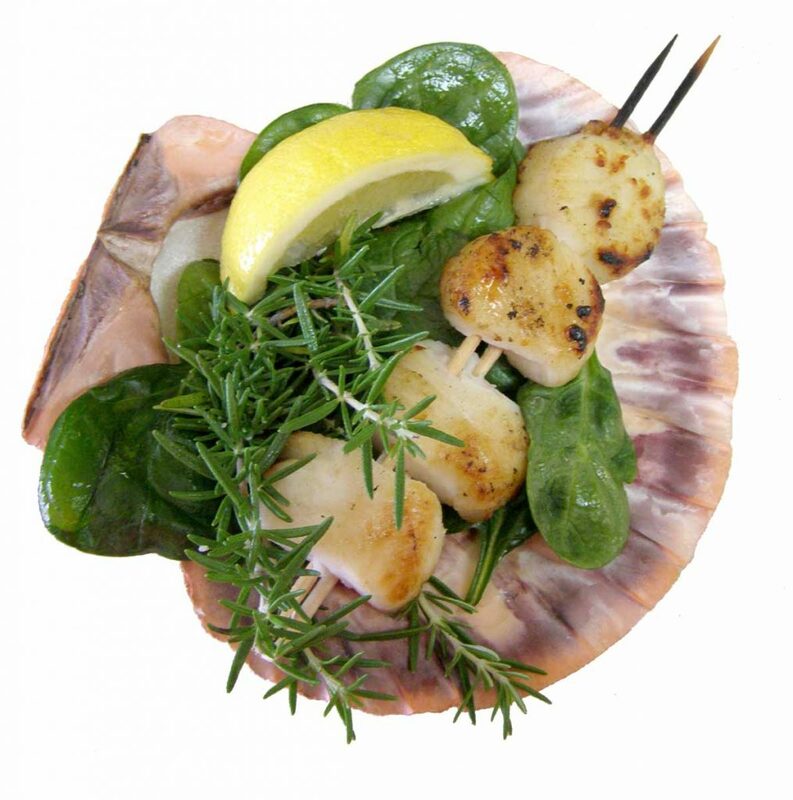 Serve in a seashell for a beautiful presentation. Viking Village is located at the North end of Long Beach Island at 1801 Bayview Ave in Barnegat Light and are a great source of locally caught seafood.